A. Jaffe's classic and elegant diamond semi mount sparkles in 18k white gold and 44 round diamonds, .34 tdw. Beautifully designed with diamond inlaid bands, this A. Jaffe setting will wonderfully highlight your hand-selected diamond or family heirloom stone. (Center stone sold separately). A. Jaffe joins the jewelry industry's most acclaimed designers at Tara Fine Jewelry Company, Atlanta's premier jeweler for diamond engagement rings and beautiful bridal jewelry. 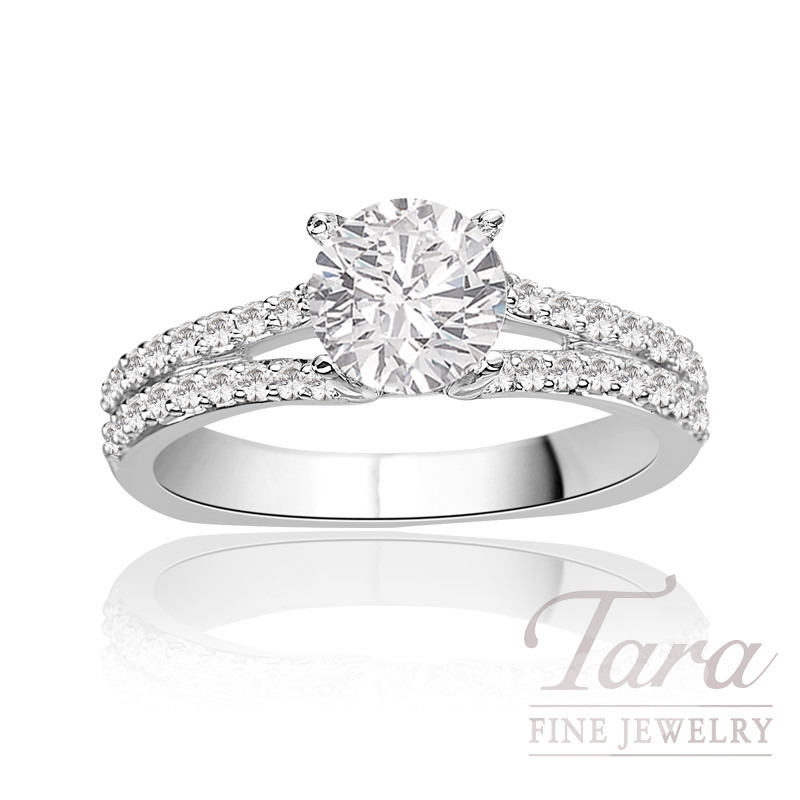 Home to high quality diamond and colored gemstone jewelry, as well as precision Swiss watches by Rolex, Omega, Breitling and Tag Heuer, Tara Fine Jewelry Company has dedicated its 28 years of business to delivering the finest and most beautiful jewelry matched with excellent customer service.